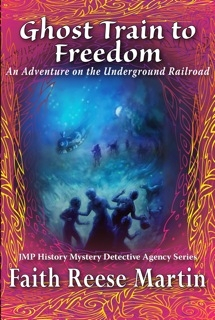 Join teen psychic friends Jinx and Max on their adventure aiding in the Undergound Railroad effort. This capable duo of white children venture from their homes in the present-day North to the Antebellum South and back, to rescue a slave’s missing two young sons. Along the way they are confronted with the nation’s ugly past. They also must question their own roles in attempting to rewrite history. A smart and adventurous tale, this is the fourth book in the History Mystery Detective Agency Series. Ages ten to thirteen.